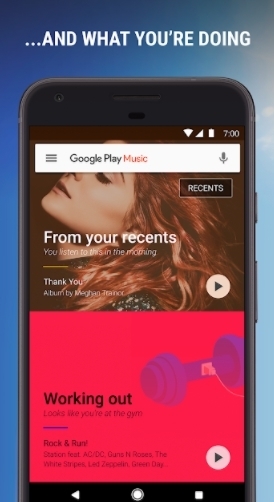 Google’s music player is made for those who want a simple, classic interface for music files. Your music can be stored in the cloud so you can listen to them anytime, anywhere, and on all of your Android devices. You can share them with your friends in Google+ and save your favorite songs for offline playback. 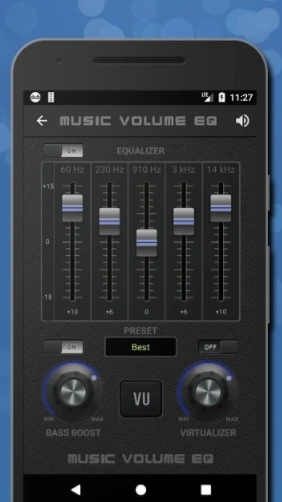 Equalizer is a cool app which might help enhance your stored music’s sound quality and to enable audio effects on your device. It has a bass booster, a virtualizer, 11 stock presets, and other sound enhancing functions that can help elevate your music listening experience on your Android device even further. Another best android music player is Pandora Internet Radio. 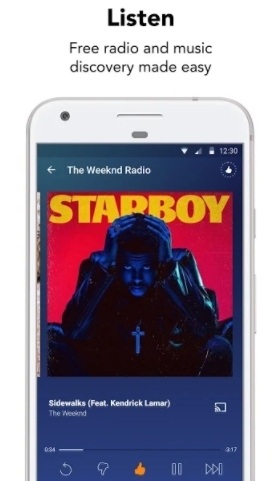 Pandora streams music that you enjoy straight to your device. 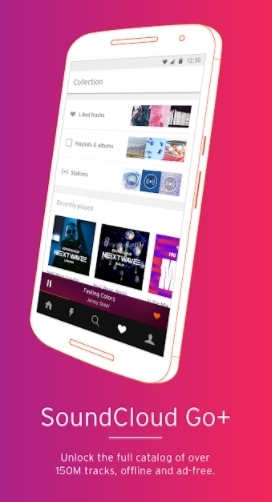 Just type in the name of an artist or a song you like, and the app will create a custom station that will play other tracks and recommendations that you might like. You can create up to 100 stations and switch them according to your mood and genre interests. SoundCloud lets you listen to music and share them with others. It allows you to discover and search for music files, hear new music by audio creators, and record your own. You can share the music you want on Facebook, Twitter, Foursquare, and Tumblr. This is a great app for those who want to start their music careers online, and to those who want to listen to new music. 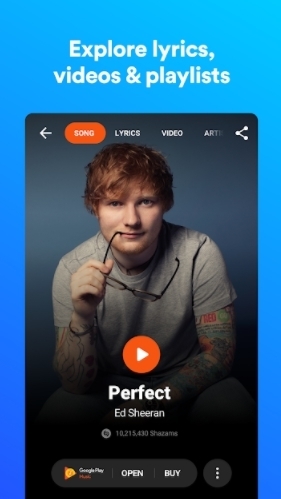 Shazam lets you identify songs quickly, buy the tracks you want, stream the lyrics, watch their music videos, and many more. You can get information about artists and discover new music in the app’s charts. Online sharing to Facebook and other social media sites are also available so you can always brag about how cool or be discriminating your musical taste is. A highly popular music player, Winamp features wireless desktop sync capabilities that also imports items from your music library. You can also sync it to your Winamp installs on other systems, like your desktop computer. The app’s equalizer can be customized according to the preset you want, and you can save it as your default preset. Winamp also has a lock screen mode that easily lets you switch between songs even without unlocking your RingCentral business phone. Music Volume EQ is the ultimate equalizer you can get for your Android device. It has a media control volume, five-band equalizer, bass boost, virtualizer, and other sound enhancing capabilities. You can also get live readings of your current music volume level and an elaborate volume slider. 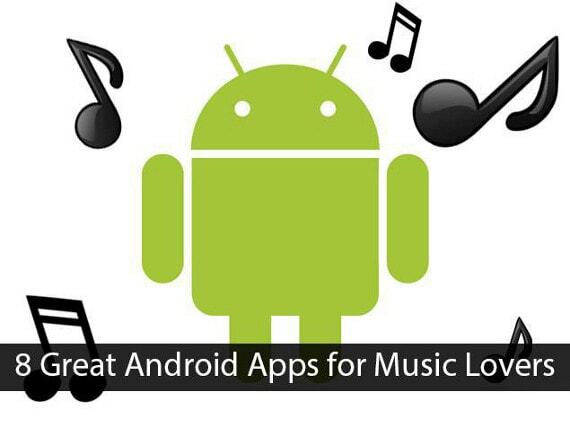 Do you know any other best Android music player apps than share them with us in comments below. Thanks for finding sometime reading my article, its been awhile since I posted an article here. WinAmp is one of the first Music Apps I used too. The list is really very good but I’m afraid you forgot the most famous one that is PowerAMP App. I myself use PowerAMP and to be very frank it has the best equalizer. I heard about this kind of words for music “Google Play Music, Rdio, Winamp and Equalizer”, but “Pandora Internet Radio, SoundCloud, Shazam, and Music Volume EQ” these words are new for me, so thank you for giving me some basic information about it. I have little questioned that “Pandora Internet Radio” is that available only for Android based mobile phone? I also like “SoundCloud” which we can share to other, it’s really amazing. I like these all music apps. The apps you listed are really great ! Butu there are some other apps that comes to the top of these apps. Can you list those apps, so we can improve the list? 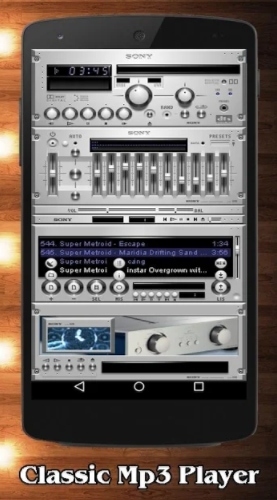 Hi Rajesh, I think there is a new music player app developed by an XDA member. If I’m not mistaken, the app is called “Now Playing”. It features a sleek hollow interface and best of all, it doesn’t take too much resource. So you can save more battery life. VLC player is also a great app as it can take on any media files you throw at it. Hope it helps. Is there any alternative for Rdio? and any app which can show lyrics with song? thats great list but… PowerAMP should be on the list…. though rdio and winamp are the best and must app.. The apps you listed are really great there are some other apps that comes to the top of these apps. I like “SoundCloud” which we can share to other, it’s really amazing. I like these all music apps. I don’t have a android phone but soon after I will get it then I can look which music app is better. So thanks for the reference in advance. Great list of apps here, I like SoundCloud because it is excellent app. Thank for this post. I already have the Winamp and I like it. I haven’t tried the others. I’ll surely try these and see which one I will like the most. Hi Henry, Great list of Music Apps. I am using only Winamp and will surely try out the other apps which you have listed. Thanks for Sharing! Thanks for sharing Henry. Actually I prefer the app about radio than music. From radio we get more information include music. daily 3-5 hours i used to listen songs on my android smart phone..
anyway thanks for listing music apps.. iam using winamp. i think it is great app..
Hi Henry, I am a new reader on Techlila. I used to use Spotify but since they removed support for local MP3s I use PlayerPro, not that I use it often as most of the time I still use Spotify. Thanks for sharing. 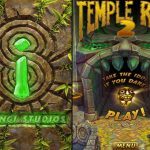 Really a great list of apps! Google Play Music doesn’t work here yet, but I found Rdio and SoundCloud very helpful. At least, I won’t need to update my playlist every now and then. I really adore SoundCloud. It is really an awesome app as it not gives an excellent platform to the newbies to show their talent but it also let’s us to listen their amazingly created tunes. Thanks Henry for suggesting us other options too. Thank you for taking time to compile android music apps. You might consider adding spotify to this list. It is a great app that streams music for free. hey nice applications.i liked it very much..nowadays people are using android technology everywhere. Great stuff for Music lovers like me. 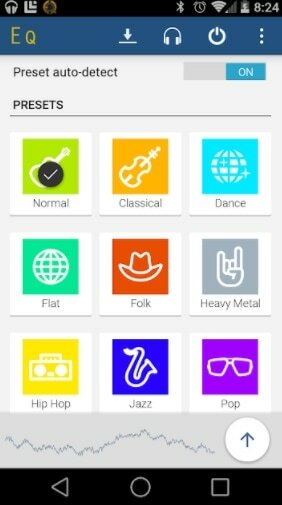 I know some more free apps like Doubletwist, My Piano, Amazon MP3, Audible for Android, Spotify, Soundhound. Hope you will enjoy it . Soundcloud is an all in one solution to feed my music needs, whether I want to listen music, embed it on my website, it’s my preferred choice. Equalizer promises to be a great app with useful features. The bass booster and other audio enhancing functions are sure to provide a great experience for music lovers. Am not a big music lover. but when ever I want listen audio I try Google Music. I never knew about all these apps listed. Thanks for letting me know about these apps. I am feeling lucky that i stumbled upon this post as i am a big time androide lover and liked this site very much. I am using many apps but now i am going to try these wonderful apps as i like to listen to songs every time. I am an audiophile but i was still unaware about these apps. Now i will surely give them a shot. Thanks for sharing these with us. This seems to be a handy list of application. I do follow this blog obsessionally but this list appeared to be in Google results. Thanks for sharing. I must say i had heard of most of these apps already but as a music lover i could always do with a nice eq for some of the songs especially when i hook my phone up to my car stereo. wow.. nice set of the android applications.., that is why i love android smartphones.., because they had nice set of applications. Shazam is a great app but I’m surprised they got so many users. Also good to see here old good Winamp – together since 1996. What do you think about last.fm? Before reading this post I only know about google music play and winamp. Thanks to introducing me a good number of music apps. Thank for this big share Henry. I am a music freak so I always keep looking options to enjoy music in better way. For me soundcloud is the best but i usually use tunein radio. Thanks. I like soundcloud and I need to add another app for music lover which is poweramp. Shazam is my favourite. When I first saw it, I thought it was like a magic trick, how it knew the song. I guess that’s why it’s called Shazam! but it’s high praise from me, seeing as I am a magician. Sound Cloud is the best. I use it on my 2 Android phones. Thanks for the share bro :) You always provide good stuff. Appreciate it…SoundCloud is my pick. Good Post! With the Android software living in our gadget, It would be easy to access an incredible number of music apps in the market. These apps are really awesome and are very much used in the android these days , but as there is a high competition in today’s android market so its very difficult for any apps developer to make a great foot hold in the battle of survival but these types posts really made a good impact over the users for better understandings and to choose the appropriate post for them. So over all a good post. You haven’t mention about VLC ?? I am using Google Play music only from the list, but MK Player and VLC are also good for watching HD Videos on android phones, MK player works for both music and videos but its mainly built for Video purpose only, Thanks for sharing I will check the rest! Thanks for sharing this list.. i’m a true music lover… Soundcloud is my fav. app. i like google play music and soundcloud .. I wonder about the availability of android apps under different category. And yes Music also includes in it. There are number of apps that makes us to utilize our time effectively and efficiently. On that note this post has given out the best android apps. You forgot about the greats like spotify and slacker. Both are more of paid apps anymore but can expand your playlists like no other. Also don’t forget to mention root apps like Apollo from Cyanogenmod and DPS Manager. Both are great for local media and controlling the EQ. Also good note to mention that with KitKat version 4.3+ a visual EQ has been built into Android Nativity, so no need for a 3rd part app to control the greatness of how your sound is amplified. Always note if it is an app on the play store it is outdated, just remember all APK’s that aren’t certified by Google will always be better than anything you can download legally case and point DSP manager over 4.3 stock EQ…. I am using Google Music app and it is just awesome. It provides me with all the needed music according to my taste on the go. I just love it. I use Soundcloud application on my Android mobile. It is an awesome application. Equalizer is a cool app which might help enhance your stored music’s sound quality and to enable audio effects on your device. Saavn is this app that I have been using since long and its quite good. Thanks for sharing this very helpful resource. At first, thanks for sharing these Android music apps. I really love Google Play Music, but SoundCloud is so amazing. Thanks Henry for the list of music apps. For me, Rdio and Soundcloud are the best for my music needs. Now a days there are lots of application to choose for. But still my vote goes to Pandora Internet Radio. I think no one can compete SoundCloud next 20 years more. I too use SoundCloud application on my Android mobile, its nice. Thanks for the list. I have used Souncloud & Winamp and they both are great. I am looking forward to use Shazam now. I also like and my favorites are SoundCloud, Saavn. I am currently using Soundcloud and its awesome. There are some other apps in the list which I never heard about and will try soon. Hi Devendra, SoundCloud is good and you should give a try to the apps mentioned. Let us know about your experience. I love Equalizer, good app for music bass boost, the power amp is also a good app. I am using VLC Media Player on Win XP and for online songs I use Youtube.